¿ to generate networks and synergies among scholars at Duke and beyond through the vertical integration of information about Africa and make this information legible to a global community of stakeholders. 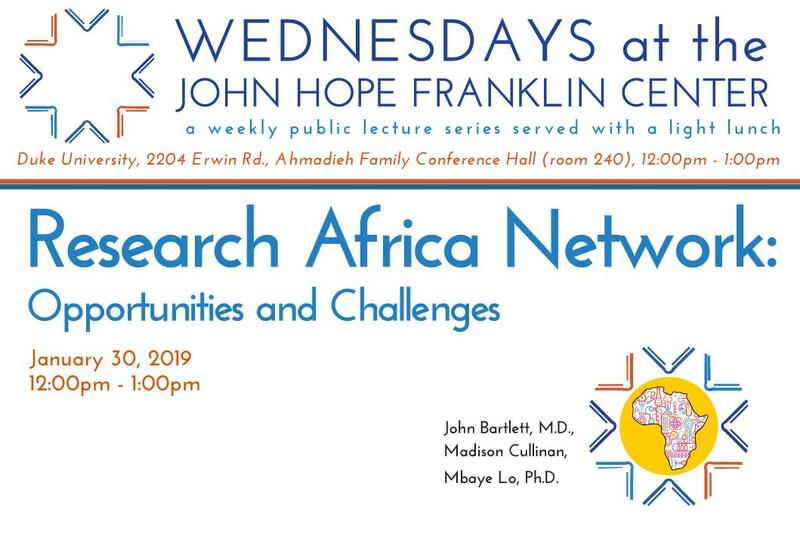 This presentation is sponsored by the John Hope Franklin Center and the Africa Initiative. A light lunch will be served. Parking is available in nearby Trent Rd. and Erwin Rd. parking decks. The series provides 1-hour parking vouchers to guests.